#SunnyvaleCA Greetings Sunnyvale, California! My name is Dr. Tony Tropea, and if you are suffering from jaw pain and live in the Sunnyvale area, instead of dealing with the pain through traditional dentistry, drugs and other therapies, why not come in for a consultation with me? My office is located at 260 S Sunnyvale Ave, 94086. 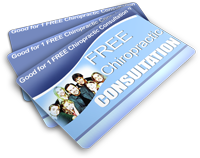 I can help to alleviate your suffering without causing you any additional pain. TMJ (Temporomandibular Joint) disorder is a painful condition that affects the jaw and can cause headaches, neck pain, earaches and jaw pain. TMJ does not just cause pain in the jaw. Many of my patients have reported experiencing ear pain, headaches and sore necks as well, all of which are conditions that I am able to treat. Part of your course of chiropractic treatment will involve the manipulation of the muscles around your jaw, which will improve motion and alleviate your pain caused by TMJ. Anyone who has ever needed to see a specialist for any type of disorder knows just how long it can actually take to get an appointment. If you are living with TMJ, you are no doubt in a lot of pain, and this is just going to get worse (or at the very least, not get any better) while you are waiting to see a specialist.